Acquire a lightweight wheelchair Nottingham to help you with your daily movement. Being confined to one place can be inconveniencing since there’s only so much you can do in your immediate area. Additionally, relying on other people to help you move from one place to another can make you feel like a burden. Having the freedom to take control of your locomotion gives you the confidence to move about your daily life and do what needs to be done on a daily basis. This also includes keeping on track with your fitness goals. 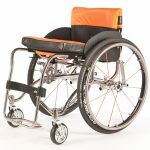 With the evolvement of wheelchairs today, you can have one that will suit your lifestyle and your individual requirements. You can find the perfect wheelchair for you at Da Vinci Mobility. We can make virtually any wheelchair to your exact specifications, taking into consideration everything, including your height. 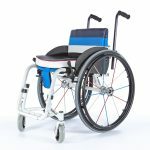 Lightweight wheelchair Nottingham specifications need not only be for ground use. We can customise them to be adaptable to motor vehicles. We build our wheelchairs using aluminium and titanium, making the type of wheelchair you opt for perfect for its use. From everyday use to sports and off road, you can enjoy the things you love without holding back. 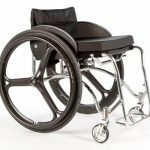 Choose from our range of wheelchairs available. Each type has certain and specific characteristics that make it easy to use for those in need. From the Leggera to the Xtreme Ultra, the Off Roadster to the Compatta Folding wheelchair, we’ll meet your requirements to the very last detail. We even have wheelchairs for children that they can use over a number of years, since they come in adjustable heights. This way, they can comfortably use them without fear of outgrowing them too soon. Lightweight wheelchair Nottingham can be take on road trips as well. You can use it for as long as is possible and come back to us for an upgrade when the time comes. Contact Da Vinci Mobility today and we’ll pair you with the perfect wheelchair in no time. We handle service repairs as well so you don’t have to worry if an issue arises.